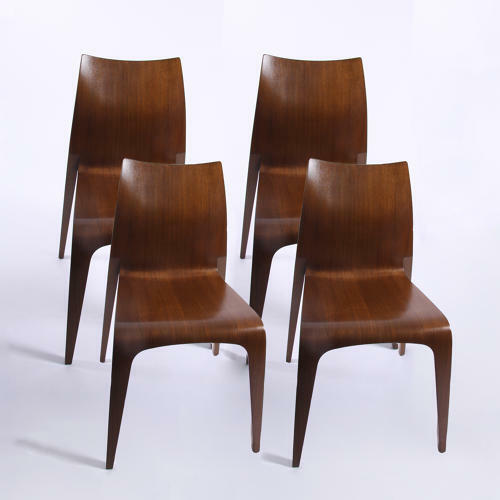 Stacking set of four flow chairs by Jacob Berg. Elegant design made from a single piece of bent wood. Great for space saving.